South Africa’s residential market is in for an interesting time in 2019, but our predictions for the year are all positive, and we believe that home buyers and investors who take the plunge and buy early will be well-rewarded. Buyers and investors should not allow the current unsettled state of the global and local economies to cloud their vision of long-term gains. With the US/ China trade war and the ongoing Brexit saga dominating the news, many investors around the world are just sitting on the sidelines at the moment and waiting to see how things turn out. But SA is actually benefiting from the current situation, with the weaker pound and dollar being good for the rand, and oil prices at very low levels. This helps to contain inflation, lowers the likelihood of another interest rate hike at the start of the year, and is a positive for economic growth and job creation. 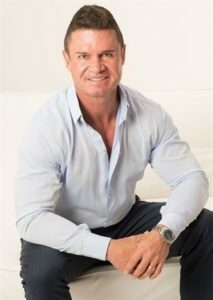 It is also expected to give a further boost to local home demand and sales, but as things are, the banks are keen to lend to home buyers, household debt is at a 10-year low and recent statistics from Lightstone and BetterBond show that SA is already quietly gaining about 77,000 new home owners a year. Urbanisation is also happening at a very rapid rate, and developers are anticipating a concomitant increase in the demand for rental homes by planning more than R40bn of new private sector housing over the next two years, most of which is sectional title flats and townhouses (StatsSA). Taking a broader view, the softer stance that the US Federal Reserve is now taking on interest rates is also good news for SA as it means that international investors may be more willing to invest here without the Reserve Bank raising rates. And the proof of SA’s attractiveness as an emerging market is in the fact that it has taken President Ramaphosa and his team just six months to reach the halfway mark on what was supposed to be a five-year quest to attract $100bn worth of foreign and corporate investment. Perhaps even more importantly, the president has also secured pledges from business and labour to help create at least 275,000 new jobs a year for the next five years, and already set in motion all sorts of programmes to repair infrastructure, restore municipalities and basic services, make education accessible and relevant, and address major deficiencies in healthcare. We also have a finance minister now who is firmly committed to containing government spending and bringing down the national deficit, so although it is probably going to be a long road back to prosperity for SA, there is a growing confidence that we are definitely going in the right direction, even among the ratings agencies like Moody’s and S&P. However, much of this positive outlook is currently being blurred by other problems that are also the legacy of state capture, including bankrupt or nearly-bankrupt state-owned enterprises like the SABC, SAA and Eskom, low GDP growth, high unemployment, crime and corruption. Millions of SA consumers are also taking financial strain because of the VAT increase in April, the very high fuel prices in 2018 and the ever-rising cost of electricity and other utilities. And now we are being subjected to increasingly loud and distracting political in-fighting ahead of the General Election in May, so it is not really surprising that many prospective buyers and investors are deciding to ‘wait and see’ how things turn out before making any further commitments to the market. But this could end up being an expensive decision. Barring disaster, we are anticipating a surge in prices following the election, which will mean that buyers have to earn more to afford the homes they want, take out bigger bonds and pay higher monthly instalments. In addition, they will have missed out on the substantial value growth that they would have gained by buying now, while prices are still relatively suppressed. Those who do buy now, on the other hand, will gain that post-election jump in the value of their property, and enjoy the benefits of a smaller monthly bond repayment. In short, they stand to derive the maximum possible advantage out of the strong market recovery that we foresee taking place over the next four years.